Mr Tony Andrade, MBBS, FRCS(Tr&Orth), is a consultant Orthopaedic, Hip and Knee Surgeon at Circle Reading Hospital. He graduated from the London Hospital Medical College and was a surgical trainee in the Wessex region of the South of England before being fellowship trained in hip and knee surgery at Sportsmed-SA in Adelaide, South Australia, where he first learned hip arthroscopy. He was also fellowship trained in trauma surgery at the Hennepin County Medical Center, Minneapolis, USA. 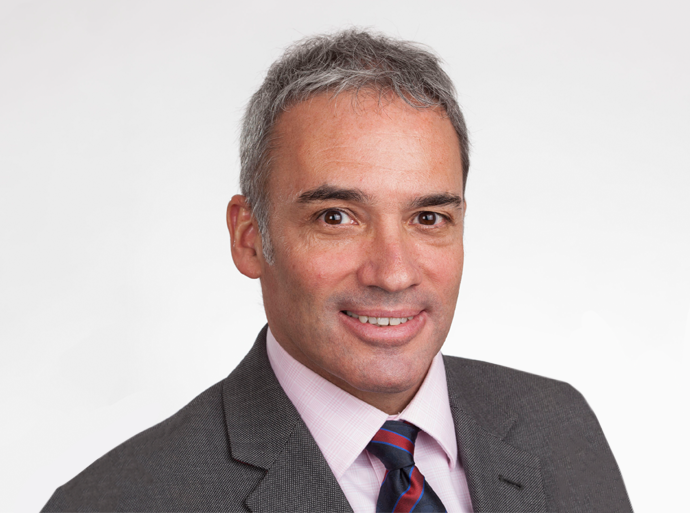 Mr Andrade has a specialist interest in the Young Adult Hip, having established a hip arthroscopy service in Reading, in 2002, and is widely considered to be a UK pioneer of hip arthroscopy. He is a board member of ISHA – The Hip Preservation Society and is on the Non-Arthroplasty Hip Registry (NAHR) user group for the British Hip Society. He is regularly invited to lecture nationally and internationally on hip preservation topics, and to teach on national and international hip arthroscopy and arthroplasty courses. He has multiple publications in peer reviewed journals on these topics. Mr Andrade now offers knee replacements using the latest robotics-assisted technology at Circle Reading Hospital. The NAVIO Surgical system helps some of the country’s leading surgeons to deliver even greater accuracy during your operation, while also eliminating the need for a CT scan before surgery. Mr Andrade went to school in two different countries and trained in Trauma and Orthopaedic surgery in three different continents. He has a love of all motorsports (particularly F1 racing). In the winter months, he is happiest on skis, and in the summer he is happiest on the water, which allows him to continue to enjoy international travel discovering the wonders of different cultures. He is married and has three sons and so now enjoys watching his sons developing expertise in their own preferred sports. Consultant Trauma and Orthopaedic Surgeon at the Royal Berkshire NHS Foundation Trust. Tony Andrade completed an MSc in Orthopaedic and Rehabilitation Technology from the University of Dundee in 2004, with a dissertation on "The Tensile Properties of the Medial Patellofemoral Ligament".